You have a constitutional right to a trial if you are charged with a DUI in Pennsylvania. However, the sad reality is that most attorneys do not take DUI cases to trial. In fact, I know of some attorneys who have two decades worth of experience and have never taken a DUI case to a suppression hearing, let alone a full blown trial. The PA DUI Attorneys at The McShane Firm regularly take DUI case to trial. At The McShane Firm, we are different. We use every possible inch the law allows to defend our clients. 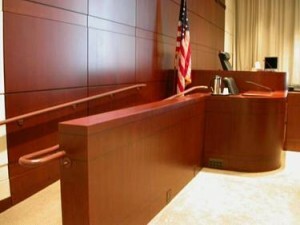 We regularly take DUI cases to trial and have an impeccable record of success and professionalism in the courtroom. We are experts on DUI blood and breath testing and aggressively cross-examine the so-called “forensic experts” the state relies on to convict you. We have our own private investigator to help us uncover the facts of your case that the police may be hiding. We regularly attend advanced DUI training to perfect our techniques and learn from the very best DUI attorneys in the world. We have fought DUI cases in Magisterial District Justice courts, Courts of Common Pleas, the Commonwealth Court, The Superior Court of Pennsylvania, The Supreme Court of Pennsylvania and have even participated in a DUI case in front of The Supreme Court of The United States. We are totally committed to providing you with the best DUI defense in PA. No attorney in the state can match our experience, knowledge, resources and passion to protect your rights. If you or a loved one is charged with a DUI in PA, call 1-866-MCSHANE for a free consultation with an expert PA DUI Attorney.